The Yas Waterworld is a water park spread across 15 football pitches. Yes, it’s that huge! It is a full day experience to enjoy the rides and swings with your family and have a great adventure. There are around 43 slides and attractions, five of which are on-of-a kind. The park is based on a theme of an Emirati girl named “Dana”, who was in search of a legendary pearl who once brought prosperity to her village. The park beautifully weaved the history and legend of UAE. A very striking thing about the park is the world’s first and largest hydromagnetic-powered waterslide. There is also a Bubble’s Barrel which produces three meter high waves, getting the adrenaline lovers all excited. It has the world’s largest surfable sheetwaves. The Interactive Treasure Hunt game is sure to awaken the hero in you. It is an excellent waterpark with something to offer for people of every age group. If you are in Dubai and you want to choose a fun destination, especially during summers, the Yas Waterworld has to be on top of your list. It a very well maintained park, attracting tourists from all over the world. 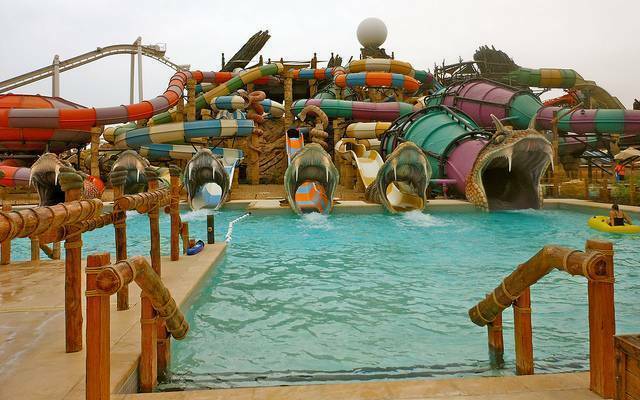 Head off to Yas Waterworld for a thrilling day out with your family!